Are you looking for something original, unique and beautiful to share with your family and loved ones during this Yuletide period? 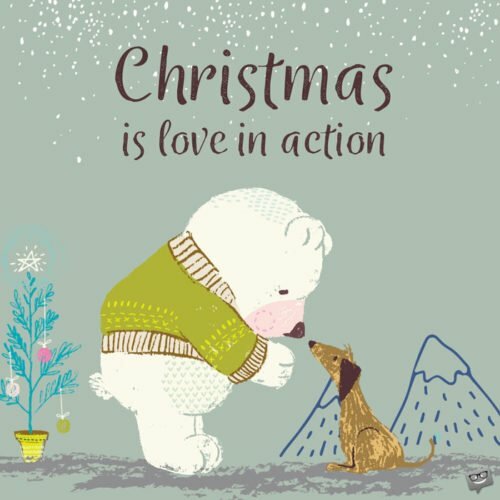 Browse through our collection of exciting Christmas greetings, and we are certain you’ll find something sweet to make this Xmas a very cheerful and memorable one for the ones dear to your heart. Merry Xmas, darling parents! I am wishing you the most pleasant of experiences during this Yuletide season and in the year to come. I want to use this opportunity to thank you both for making my world so enjoyable, comfortable and also for being the brightest source of inspiration in my life. Merry Christmas and a delightful New Year, dear parents! Dear parents, may this holiday season of love bring you countless reasons to smile and be excited throughout the coming year. Merry Christmas to you! Wishing my Mom and Dad a fun-filled Xmas and a happy, happy New Year! May this holiday fill your hearts with sparkling joy, and may this gift walk with you forever. Merry Christmas! May the joy and love of this Yuletide period brighten your days and fill your hearts with unheard happiness throughout the New Year. Have a marvelous holiday, dear parents! My sweet Mom and phenomenal Dad, I wish you nothing but absolute happiness this Xmas. No one deserves more happiness than you, guys. Happy Christmas! Merry Christmas! From the day I arrived on this planet, your kind love and care have been the only things that seem to be constant in my life. They are highly appreciated, Mom. Thanks for bringing me into this world and for showering me with all the love I need. Wishing you a merry-filled Yuletide and a gladsome New Year, Mom! I can’t wait to have those tasty and special meals that you have always prepared for us during this season of love. You are truly adored by us and we wish you the brightest of Yuletide, dear Mom! The smiles on my face and the joy and happiness in my world are all because I have a wonderful mother like you. Wishing you a Merry Christmas and a colorful New Year! Merry Christmas and a sparkling New Year to my magnificent mother! There is nothing in this world that brightens my days more than you do. Dearest Mummy, this Xmas is another opportunity to let you know how much I cherish you and also to tell you that you are the greatest mother on earth. Wishing you a sprightly holiday! With your vast experience and great thoughtfulness, you have helped in shaping my life in a truly amazing way. I sincerely say a huge thanks to you and wish you a Merry Christmas, Dad! Dad, on this Christmas, I want you to know that you mean a lot to me and that you are the kindest person I have ever known. Wishing you a fantastic holiday and a prosperous New Year! I just don’t want to know or imagine how my world would be like without a special father like you. Wishing you a happy Xmas and jolly-filled New Year! May the Lord bless you with peace, good health and grant you all the desires of your golden heart as you celebrate this joyful season. Merry Christmas to my darling father! Dearest Father, you shall never cease being the greatest person in my life. Wishing you a marvelous Christmas and an exciting New Year! Merry Christmas, Dad! Wishing you a spectacularly bright holiday and a New Year overflowing with joy, fun, and all things beautiful. Uncles are amazing, but for you, you are more than amazing. Merry Christmas, dear uncle. You hold a very special place in my heart and memory. Wishing you a sunny Yuletide and a fantastic New Year! Uncle, I want to use this Christmas to thank you for being so incredible in my world. Hoping your Christmas and New Year are filled with countless truly joyful moments! You are such a wonderful person whose presence in this family is nothing short of a blessing. Merry Christmas, dear uncle, and have a fun-packed holiday season! There is nothing more precious in this world than having a great uncle like you in my life. Each moment spent with you brings ecstasy into my world. Have yourself a very merry Christmas and a blissful New Year! You are a perfect example of an adorable and a truly special uncle. Merry Christmas and a favorable New Year to you! Here’s is wishing my sweet and splendid aunt a joyous and an amazing Xmas! May this holiday season leave an everlasting memory of happiness and excitement in your mind! I am wishing a stunning and an exciting holiday season to my dearest aunt! 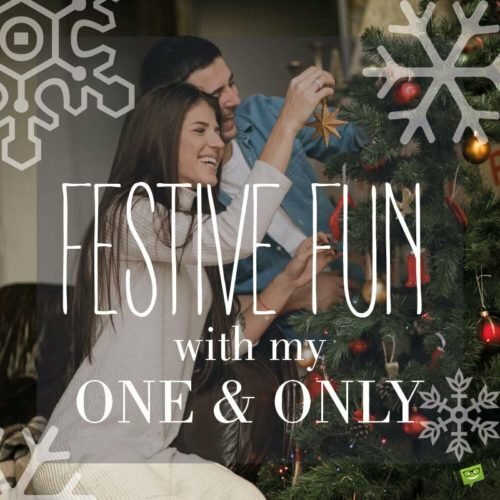 There is so much joy and happiness whenever you are around and that is why I want to spend this Christmas with you! May this Xmas bring into your world an abundance of God’s blessings, and may these amazing blessings last forever in your life. Merry Christmas, beloved aunt. Wishing my special aunt a cloudless Christmas season and a beautiful New Year! Thanks, for always being there for me. Beloved aunt, your sweet love and tender care are just all I need for this Christmas. There would have been a vast space in my heart if God didn’t bring us together. Happy Christmas! This Xmas, I say thanks to you for always being available to pick me up when I am down and for loving me tenderly. Wishing you a smiley holiday and a peaceful New Year, Grandma! Merry Christmas and a Happy New Year! I adore you so much, Grandmother, for your kind and sweet love that warm my heart in a, particularly special way. Wishing you a happy Christmas season, dearest grandma! Thank you for making my life colorful with your unconditional love. Having an amazing grandmother like you simply means the Lord has blessed me abundantly. Wishing you a super exciting Xmas season and a joyful New Year, Grandma! Merry Christmas, dearest Granny! It is my sincerest of hopes that this Yuletide season will put a smile on your face and bring peace and bliss into your heart. 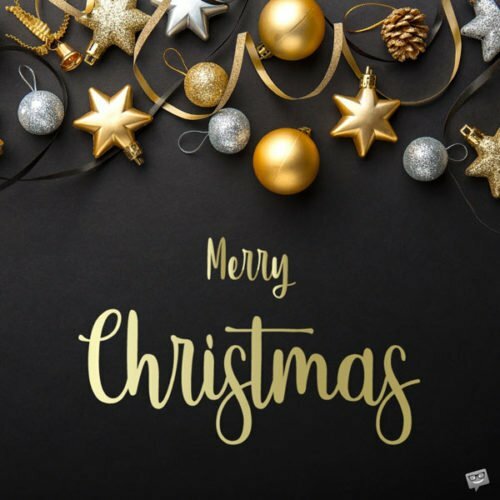 Wishing you a Christmas that is filled with good health, peace of mind, and most importantly, an abundance of true happiness! As we celebrate this Christmas, I would like to thank you for all your unconditional support, tutelage, directions, love, and care. Happy holiday season to you, my dearest Grandpa! Your advice has been instrumental in my success and your tender love brings gladness into my heart. Thank you, Grandpa. Merry Christmas, Grandpa. I hope you celebrate this Christmas in great joy and health. I love you. I can never thank you enough for all the love you have generously bestowed upon my life, Grandpa. I wish you an incredibly happy Christmas celebration! Thank you, grandpa, for loving me just the way I am and also for having great confidence in me. I love you immensely. Wishing the happiest of Xmases to the most amazing grandfather in the world. Thanks for constantly showering us with true love, kindness and support.